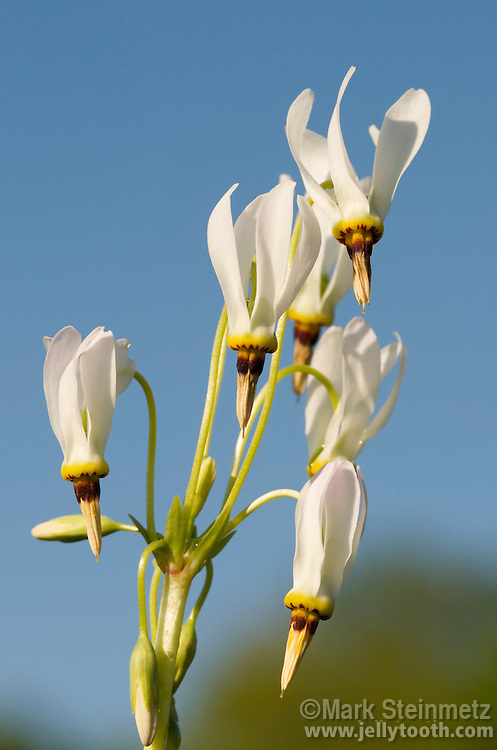 Cluster of Shooting Star wildflowers (Dodecatheon meadia). Eastern US species which blooms in late spring. Habitats include prairies, open woods, limestone/dolomite bluffs, rich moist calcareous woodlands. Another common name is Pride of Ohio. Flower color varies from white to pink. Pistils and stamens form a beak-like amalgamation.